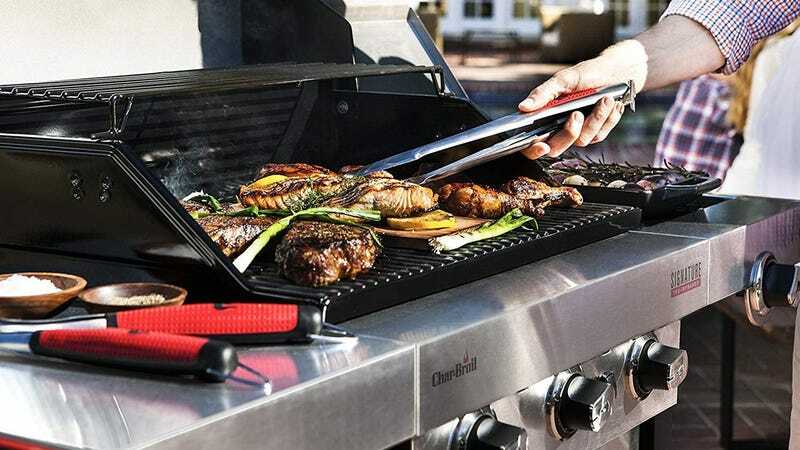 Char-Broil’s Signature TRU gas grill uses infrared grates to distribute heat more evenly while preventing flare-ups, and beyond that trick, it’s just a really good gas grill. You get a 13,000 BTU side burner, 420 square inches of cooking surface with a 155 square inch warming tray, and a handsome brushed chrome exterior. It’s $50 off at Walmart right now, with plenty of time left in the summer for barbecues.